In this lesson, we will learn how to match 3D shapes to the 2D shapes on their faces. What shape are the faces of the cube? 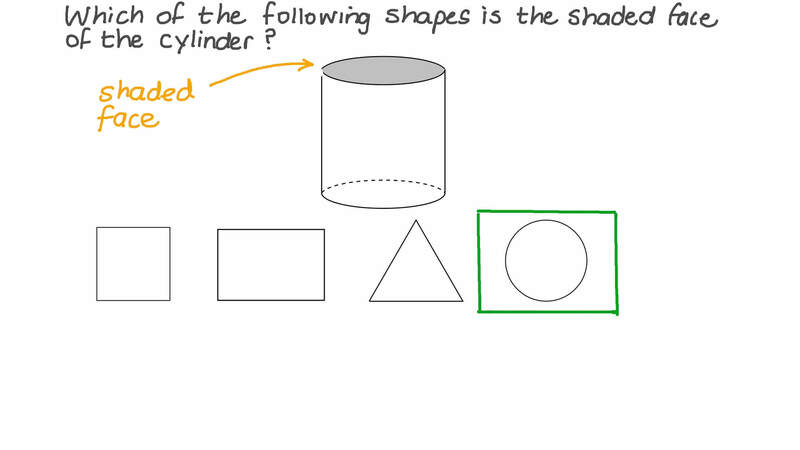 Which of the following shapes is the shaded face of the cylinder? What shape is the arrow pointing to? What shape is the shaded face on the pyramid? What shape is the base of this cone? How many square faces does this shape have? 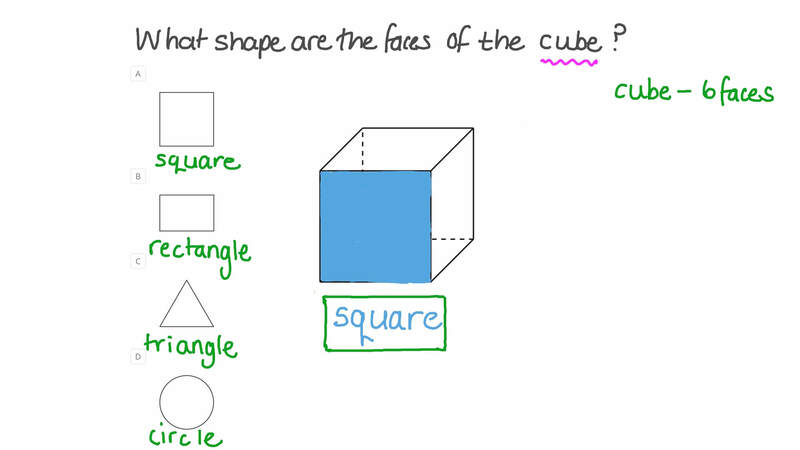 What shape is the shaded face on the rectangular prism? Which 2D shape is the same as the coloured face of the pyramid? Shady painted the side of his cube orange. He stamped the cube on paper and made a square. He painted the top of this cylinder blue. What shape will he make on his paper? He used a different shape that made a green rectangle on the paper. What shape did he use? Which card shows all the faces of this cylinder? Hint: Remember that all faces are flat. Mariam knows that the faces of 3D shapes are 2D shapes. The rectangular prism has faces that are squares and faces that are rectangles. Which card shows the shapes of the faces of this pyramid? How many faces does this shape have? How many of its faces look like this rectangle? 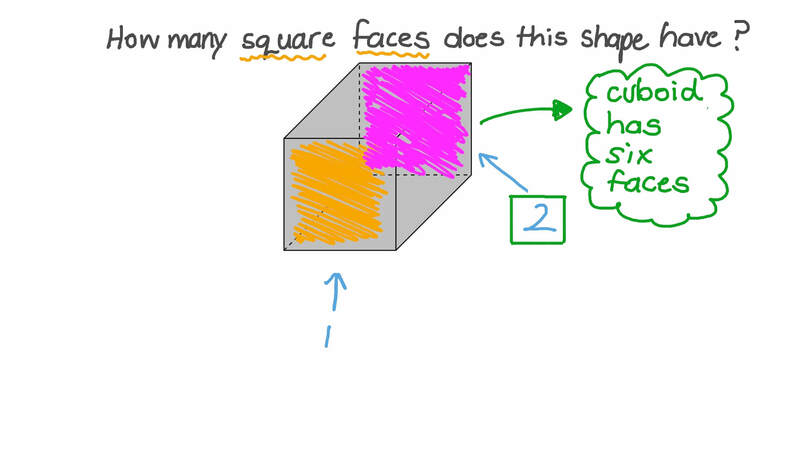 How many faces are squares? How many faces are circles? What shape are the flat faces of a cylinder? Which shape has 6 faces that are rectangles? Pick the shape that matches the description. It has two faces that are triangles. It has three faces that are rectangles. Which shape has only one flat face?